Join Every Nation Kids for an afternoon full of fun. 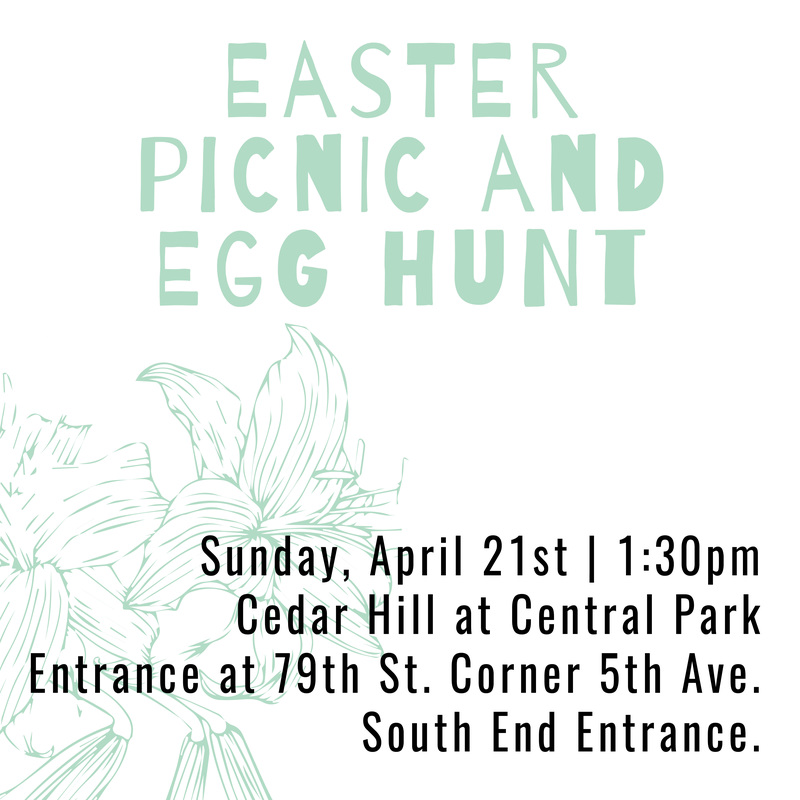 Bring a picnic lunch to Cedar Hill at Central Park (south end entrance at 79th St. and 5th Ave.) from 1:30 PM – 4:30 PM on Easter Sunday, April 21. We will have Easter egg hunts and games for all ages! All are welcome to this free event.